MUMBAI: Jewellers offering gold savings programmes, wherein buyers pay every month to receive the contracted piece of ornament at the end of the year, must necessarily hand over the item within 365 days and can’t promise instalment waivers after a federal order Thursday banned unregulated deposit plans. 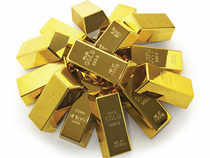 Bullion market sources said that jewellers can offer such gold savings plans only as advance against sales. Any other manner of customised contracts would bring such offers under the ambit of deposits, a line of business now barred under the Banning of Unregulated Deposit Schemes Ordinance 2019. The federal move bars any individual or group of individuals from accepting any deposit or loan from any person other than relatives. Similarly, partnership firms can accept deposits or loans from relatives of a partner/s. Anantha Padmanabhan, chairman, All India Gem & Jewellery Domestic Council (GJC), said that as long as the plans were treated as advance against sales and resulted in the contracted ornaments being given to customers before the year ran out, there would be no problem in accepting monthly cash payments. However, jewellers offering plans beyond 12 months would be affected by Thursday’s order. Surendra Mehta, national secretary of India Bullion & Jewellers Association, said many jewellers in the interiors who offer such plans for a period exceeding 12 months would have to stop them after this order.